Offer the special people in your life this Impressive �Celebration Special Gift Set and make their hearts leap in joy. 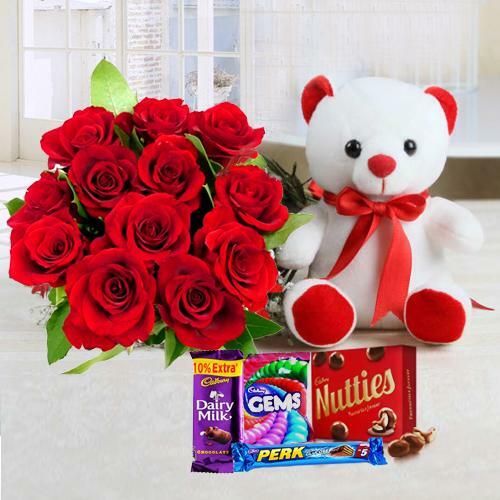 This Gift Set is comprised with Small Teddy, Assorted Cadburys Chocolate and 12 Red Roses Bouquet. It is filled with your good wishes.